U.S. Citizenship and Immigration Services (USCIS) is a component of the U. S. Department of Homeland Security (DHS). The stated priorities of USCIS are to promote national security, to eliminate immigration case backlogs, and to improve customer services. 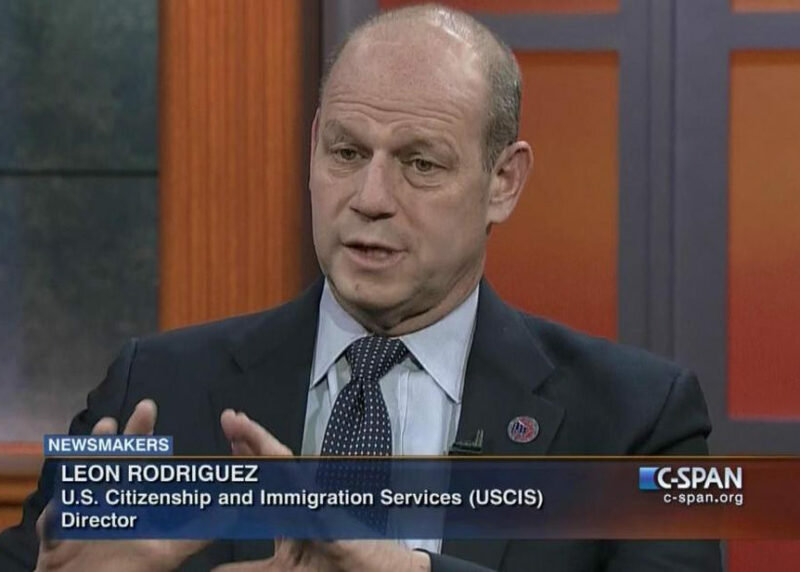 USCIS is headed by a director, currently Leon Rodriguez (above), who reports directly to the Secretary of Homeland Security, Jeh Johnson. (by Patricia Zengerle, Reuters) – U.S. immigration authorities’ lack of progress in automating their systems is compromising border security, making it more difficult to process people seeking to get into the country, a report said on Tuesday. 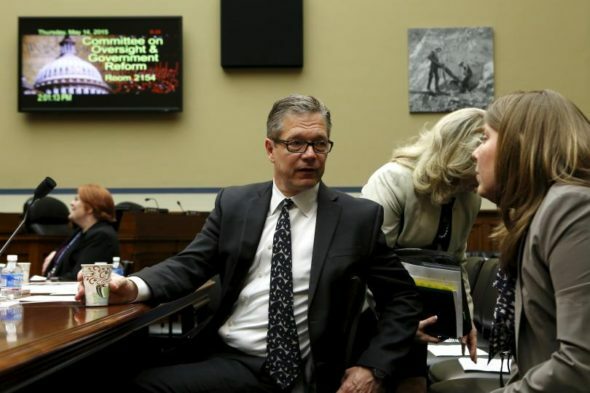 “We may be admitting individuals who wish to do us harm, or who do not meet the requirements for a visa,” John Roth, the Inspector General for the Department of Homeland Security, told a Senate Homeland Security Committee hearing. The report from Roth’s office, released on Tuesday, said immigration officials expect it will take $1 billion and another three years, 11 years into the effort, to move from a paper-based system to automated benefit processing. U.S. lawmakers have been calling for a tighter visa system since the November Paris attacks and December San Bernardino shootings. In Paris, some of the militants were Europeans radicalized after visiting Syria, and a California attacker had been admitted on a fiance visa. They want to ensure that potential militants cannot enter the United States under programs, such as the “visa waiver” granted citizens of most western countries. He said some green cards and other immigration documents had been mailed to wrong addresses, or printed with incorrect names, which meant they could have fallen into the wrong hands. The poor quality of electronic data that is kept makes it more difficult to engage in data matching, to root out fraud and identify security risks, Roth said. Shipping, storing and handling over 20 million immigrant files costs more than $300 million a year, he added. The report also said the EB-5 visa program, which admits investors who spend $500,000 or $1 million in the United States, depending on the area, may not be subject to close enough scrutiny to ensure Americans’ safety. The current system also allows “known human traffickers” to use work and fiance visas to bring victims into the country, the report said. Republican Senator Ron Johnson, the committee’s chairman, said the modernization was too slow and expensive. “It should not take years and years and billions and billions of dollars,” he said. 1. a) Who is John Roth? b) What problems could the lack of progress in automating the immigration system cause, according to Mr. Roth? 2. a) For how many years have U.S. immigration officials been trying to switch their system from paper-based to automated? b) How much more time and money do officials estimate it will take to switch from the paper based system to automated processing? 3. How does Mr. Roth describe the system that workers currently use to process the millions of immigration applications? 5. a) What is the EB-5 visa program? b) What is concerning about this program? 6. How does the current system allow known human traffickers to bring victims into the country? a) Who do you think should be held accountable for the many problems at USCIS? (The President, Congress, USCIS Director Leon Rodriguez, Secretary of Homeland Security Jeh Johnson?) Explain your answer. U.S. Citizenship and Immigration Services (USCIS) was supposed to have completed its conversion to a new automated system last year that would streamline and speed up the processing of green cards and other immigration benefits. Not only has the system gone 480% over budget and failed to meet its deadlines but it has increased green card errors rather than reducing them, an audit by the Inspector General’s Office has found. The most shocking “error” is buried on page 28 of the 65-page report: USCIS printed “potentially hundreds” of green cards with the wrong names or sent them to the wrong addresses, a dramatic increase in such mistakes since the new system was implemented in 2012. This error “has created potential security concerns about documents that cannot be accounted for or that may have fallen into the wrong hands,” the inspector general report states. Staffers at the FBI’s terrorist screening center stated “there was no accurate means of identifying the exact number of potentially hundreds of cards sent to incorrect addresses… They said their only option for addressing the problem of incorrect addresses was to manually send out notices with instructions on how to mail the cards back, but this was not effective,” according to the report. USCIS administers 90 types of benefits including everything from permanent resident status, also called the green card, to refugee applications and scheduling of visa background checks. The agency employs more than 19,000 people. On an average day they process 23,000 applications for various immigration benefits; issue at least 6,500 permanent resident cards; adjudicate nearly 200 refugee applications; and naturalize 3,200 new U.S. citizens.